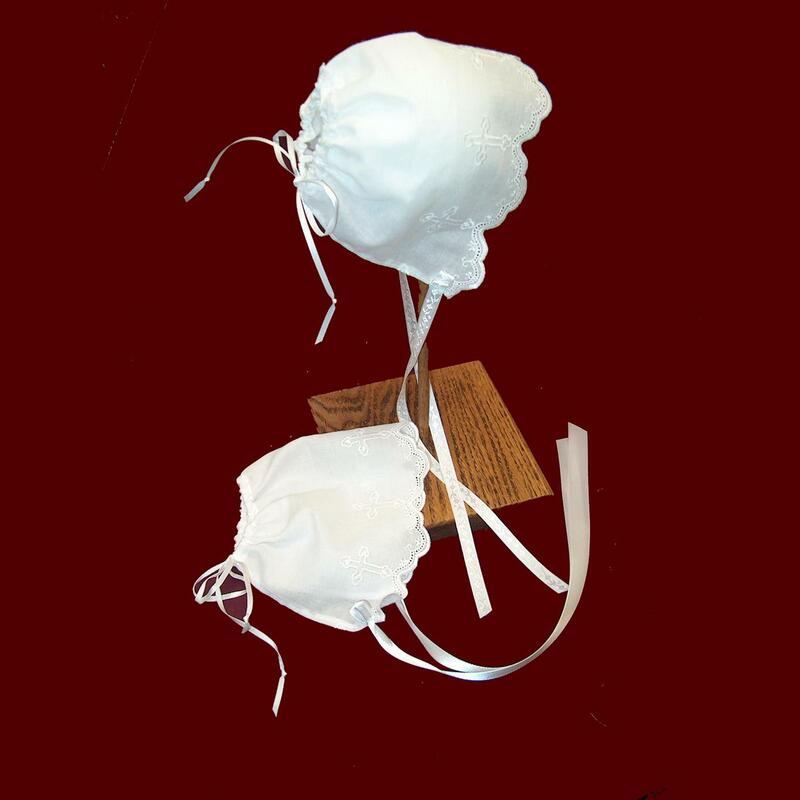 Victorian batiste embroidered with delicate crosses highlight this christening cap with an adjustable back ribbon casing. Girls version has narrow French lace added to the back casing. Satin ribbon ties. Available in sizes 0-3, 3-6, 6-9, 9-12 and 12-18+ months. 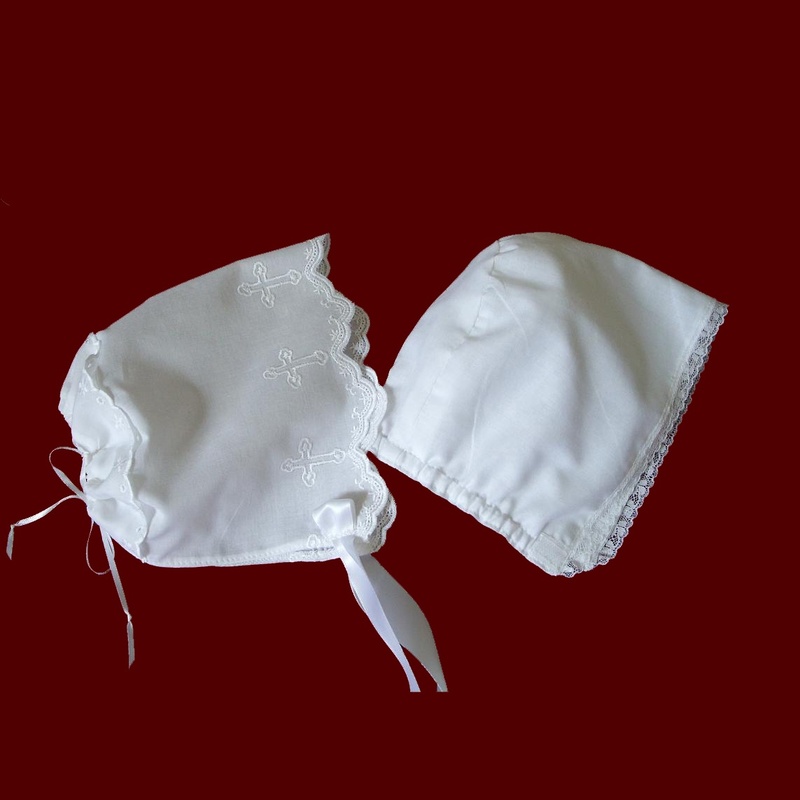 Optional cotton liner to provide a barrier to the oils used during the christening ceremony attachs with Velcro. Irish accents are available on all items on this website.